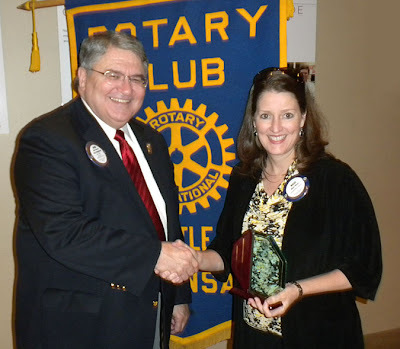 Traffic Team Leader Nicci Tiner has been named Rotarian of the Year for outstanding and dedicated service to the Rotary Club of West Little Rock, Arkansas. Over the past four years, Nicci has served as the program chairman and is responsible for organizing speakers for the weekly meetings. She has been a member of the club for 20 years. The club serves business and professional leaders by providing opportunities to volunteer in the local community, encouraging integrity in all jobs, and inviting vocational leaders to share information and build relationships with club members.